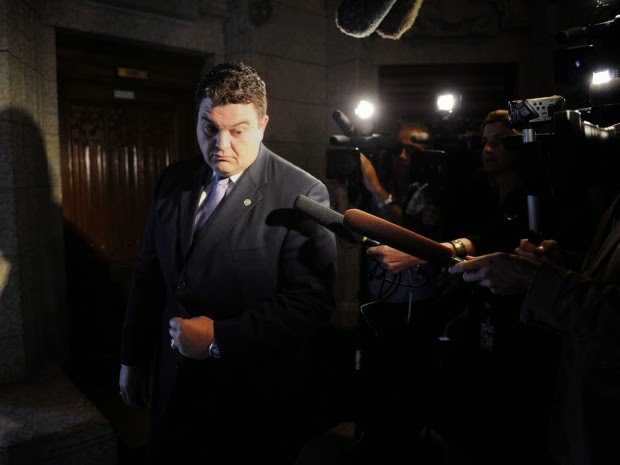 Del Mastro long maintained his campaign wasn’t hiding expenses but in July, federal prosecuters were considering laying charges over charges claimed during the 2008 election campaign. Elections Commissioner Yves Côté forwarded the Del Mastro file to the office of Director of Public Prosecutions Brian Saunders earlier this summer. Now, Del Mastro faces 4 charges, three of which shared with staffer Richard McCarthy. Court documents from last year reveal an Elections Canada investigator believes Del Mastro overspent in the last campaign by over $17,000. Investigator Thomas Ritchie swore the Del Mastro campaign paid Holinshed $1,575 for campaign work but actually paid the firm $21,000, using a cheque filed under Del Mastro’s personal bank account. The following is the full statement made by Elections Canada. Pursuant to a decision by the Director of Public Prosecutions, the Commissioner of Canada Elections, Mr. Yves Côté, has announced his office has laid four charges under the Canada Elections Act, a federal statute. The charges were filed on September 26, 2013 in the Ontario Court of Justice in Peterborough. providing to the Chief Electoral Officer an electoral campaign return that omitted to report a contribution of $21,000.00, omitted to report an election expense of $21,000.00 and instead reported an election expense of $1,575.00, and in so doing knowingly provided a document referred to in subsection 451(1) of the Act that did not substantially set out the information required by subsection 451(2), contrary to paragraph 463(1)(b) of the Act, thereby committing an offence contrary to subsections 497(3)(v) and 500(5) of the Act. wilfully exceeding the contribution limit for a candidate in his own election campaign, thereby committing an offence contrary to subsections 497(3)(f.13) and 500(5) of the Act. The Commissioner of Canada Elections is responsible for ensuring that the Canada Elections Act and Referendum Act are complied with and enforced. The Chief Electoral Officer appoints the Commissioner under the Canada Elections Act. The suspicion around Del Mastro came about after irregularities were found in his campaign on June 30, 2012. Prior to this date, Del Mastro was the chief defender of the Conservative Party during the Robocall scandal, blaming widespread election irregularities on the Liberals. Until recently, Del Mastro served as one of Harper’s Parliamentary Secretaries. Harper would be facing questions in the House of Commons now if it weren’t for his prorogation. What do you think of the charges laid against Del Mastro? As Canadians look for answers in the ongoing senate saga, Harper’s statements and lack of statements have raised more questions than answers. One minute, the scandal is isolated to his former chief of staff Nigel Wright, the next, “very few people” knew. One minute, he was saddened to see Wright resign, now Wright was “dismissed.” In 2005, the Prime Minister was responsible for the actions of his staff, today, there is no correlation. In 2005, withholding information was enough reason to hold a political leader to the fire, today, it is the norm. 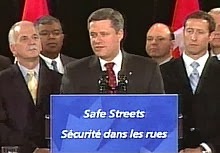 It appears contradictions are dominating Harper’s dialogue and actions, should he be held by his 2005 standards today? Within six days of Duffy’s bombshell allegation implicating Harper in the Duffy affair, Duffy released documents today which implicate Conservative Party lawyer Arthur Hamilton in a second cheque.